BOSTON (AP) -- The Republican senator who suddenly sits at the center of the explosive Supreme Court debate vowed Monday to ensure the FBI does "a real investigation" into President Donald Trump's nominee as he trekked across New England while exploring a possible run for president. Flake delivered the message at a Boston conference hours before he faced New Hampshire voters for the second time this year. The 55-year-old Republican, who is retiring from the Senate at the end of the year, has already declared his interest in a possible 2020 presidential bid - as a Republican or an independent - in part to stop Trump from winning a second term. 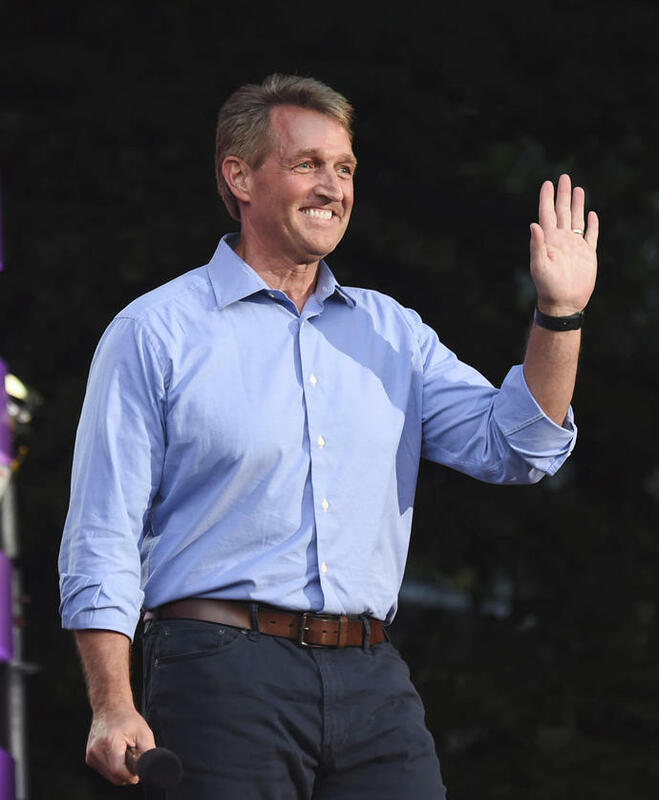 In March, Flake told New Hampshire Republicans that someone needs to stop Trump in the 2020 presidential contest. Flake said he may run - either as a Republican or an independent - if no one else does. AP writer Bob Salsberg contributed to this report.